Blue Apron continues to expose me to new delicious and healthy meals. I’m on the vegetarian plan with a little fish here and there. It’s my first time cooking using a basque-style technique which takes from French and Spanish traditions per the recipe card. Cod is normally unremarkable and often requires some work to take its mild flavor up a notch. The lingering aroma of fish was my only annoyance with this entree. 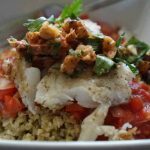 Basque Style Cod with sweet pepper, tomato sauce and Freekeh put a different spin on the usually mild flavored cod. So, the Blue Apron recipe called for many wonderful ingredients. 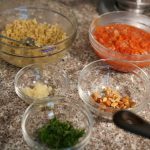 Some of which were new to me like Freekeh, which is an ancient Middle Eastern grain. Freekeh looks a bit like sunflower seeds. Next time I’ll let it cook a little longer so it’s a bit softer. 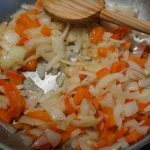 While the Freekeh cooked, I made my own tomato sauce with fresh bell pepper, ground espelette pepper, and onions which turned out fabulous. 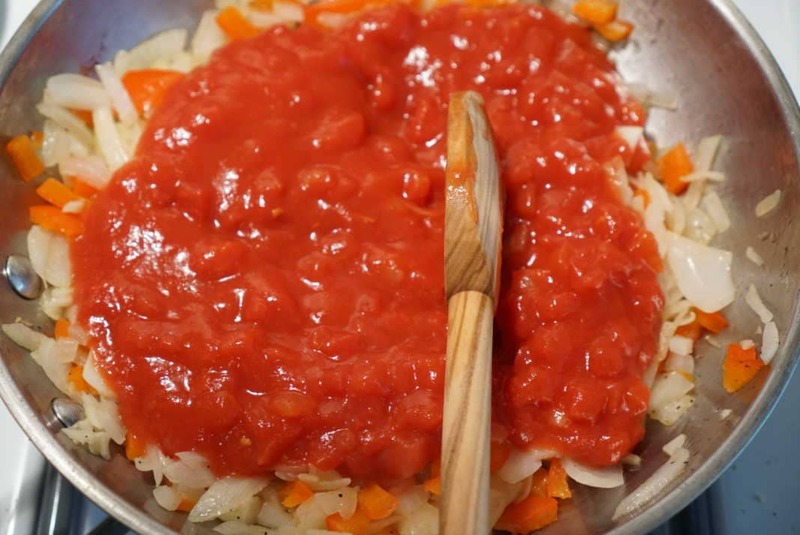 There are so many renditions of pepper and the tomato sauce went such a long way. Made for a yummy dish of spaghetti later in the week. Enjoyed the parsley-almond relish as it added a nice topper for the fish. Overall, loved the variety of sweet and spice. The almond and parsley relish was very spicy. If I make this again, I’ll use less pepper with the garlic paste. It was fire! A well-balanced meal for under 600 calories. 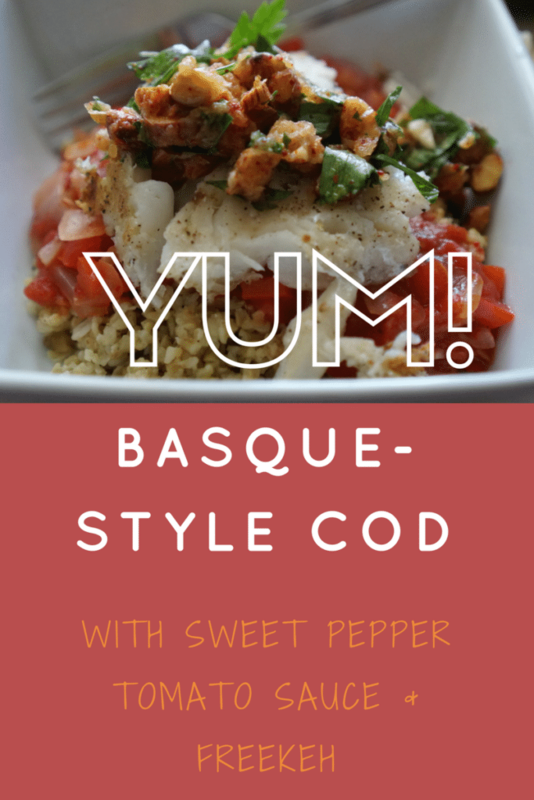 Have you tried Blue Apron’s Basque Style Cod with sweet pepper, tomato sauce and Freekeh?